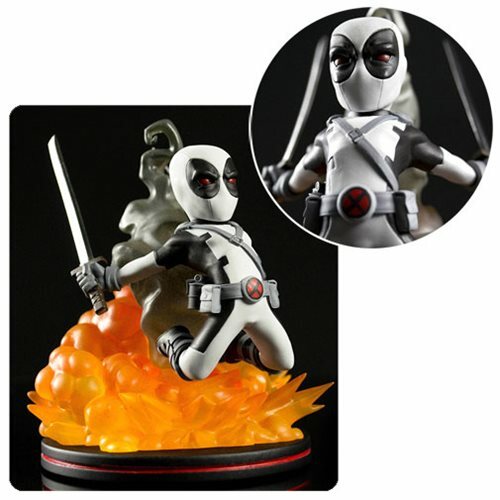 Bring home Marvel's mightiest merc with the Deadpool Marvel Comics Q- Fig Vinyl Figure, now in grey and black Uncanny X-Force colors! This Merc with a mouth continues to break the fourth wall in comic books. Now you can own his explosive personality in a this awesomely adorable figure. It measures 5-inches tall and comes with a sword, an explosive blast base, and all of the amazing detail you've come to love from this collectible figure line-up. Don't miss this thrilling variant! Ages 13 and up.